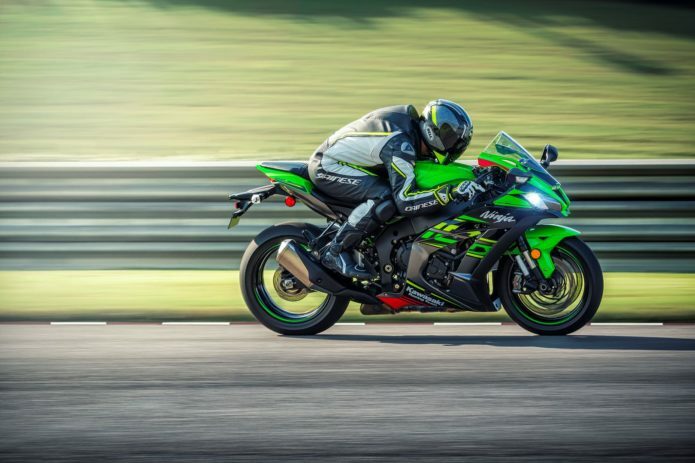 Kawasaki’s last major update of its Ninja ZX-10R occurred for 2016. That year, the ZX-10R was updated with not only more power from its 998cc inline-four, but also electronics, including engine braking control, launch control, ABS, cornering ABS, a quick shifter and three power modes. Until then the big Ninja only featured ABS and traction control. The bike was more than capable, as proven by Jonathan Rea who won the 2015 and 2016 titles aboard the ZX-10R. Rea further won the 2017 and 2018 titles aboard the race-ready ZX-10RR platform.